Andrzej founded Diversity Arrays Technology in 2001 to commercialise one of his inventions – DArT. As the company’s Sole Director Andrzej performs executive CEO tasks and guides the company’s strategic direction, typically a responsibility of the Board. His main activities involve interaction with clients, development of new products and services as well as representing the company in scientific and commercial interactions. 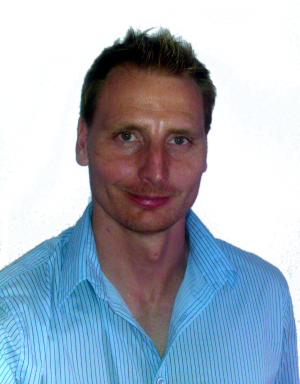 Andrzej was born in Poland and studied there up to his PhD in 1987. Since then, he worked in Cambridge, United Kingdom, at the Washington State University in Pullman, United States and in Australia. He arrived in Canberra in 1996 to join Cambia, a private research institute of which Andrzej was one of the founding members and Directors. During his stay in Canberra, Andrzej trained seven PhD students from several universities and participated in a number of professional bodies. Andrzej enjoys cycling to work along Lake Burley Griffin, playing table tennis and walking his dogs through Canberra parks and paddocks. Colleen joined Diversity Arrays Technology in December 2007. She is involved in the operation of the microarray facility, the laser scanners and the organisation of the laboratory. Colleen is responsible for all purchases, orders and payments for the company and in August 2012 became involved in some of the company’s administration tasks. 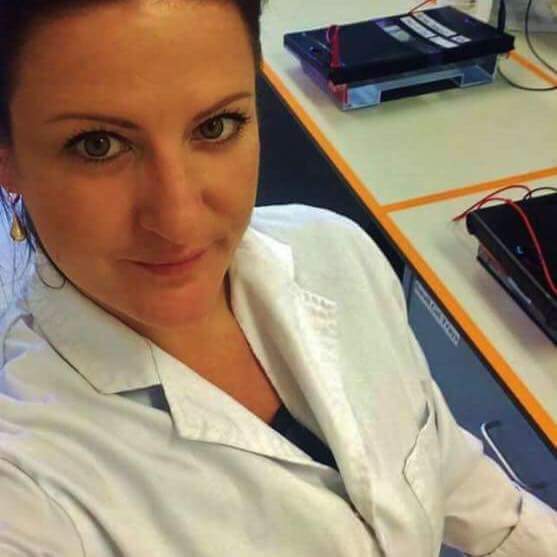 Colleen studied Laboratory Technology Pathology Testing in 2006 and 2007 at the Canberra Institute of Technology and also holds a Diploma in Management and one in Swimming Pool Technology. Born in Nyngan NSW, Australia, Colleen spent most of her life in rural NSW. She has now been living in Canberra for three years, with her four children, son in law and grand daughter. She loves being active and spending time with family and friends. Grzegorz joined Diversity Arrays in 2001 as the first IT employee, helping with setting up the initial hardware infrastructure and building the first software tools. Since then, he became the IT manager, building the DArT IT team and being responsible for overall IT development in the company, including the development of the LIMS system, the plant breeding / variety evaluation system, the environmental/GIS components and various other smaller software tools and libraries. Grzegorz holds a master’s degree in Landscape Geography from Warsaw University, in Poland. In 1992, Grzegorz studied Environmental Sciences at The University of Greenwich in London, as part of an exchange. Most of his professional life before joining DArT, involved working as a GIS specialist at ESRI Polska, University of Idaho and Claritas Polska (now Axiom). After hours, Grzegorz enjoys mountain walks, photography and philosophy. He regularly cycles to and from work. Jason joined DArT in 2002 and previously worked in cytogenetics. He currently works primarily on the Genotyping by Sequencing DArT-Seq operations, including platform development, provisioning of services, training of staff and downstream data analysis. Jason holds a Bachelor of Science Degree from the Australian National University. In his spare time he enjoys plant collecting and extreme sports such as deep water diving. 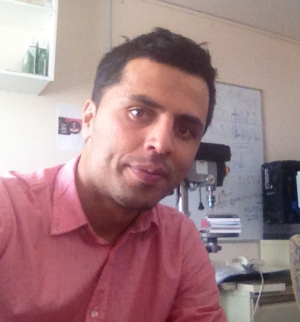 Faisal joined Dart in January 2014 as a technical officer and is enthusiastic about his wide range of duties such as DNA extraction, Genomic QC and Target QC. Faisal was born in Kabul Afghanistan, after completing his 2nd year of Medicine at Kabul university he decided to live abroad and has lived in Australia since 2003. He has completed a Bachelor of Medical Science at University of Canberra majoring in genetics and biology. Outside work, he has a busy but lovely life with his wife and two kids. He enjoys spending time with family, playing soccer and sampling food from various cuisines. 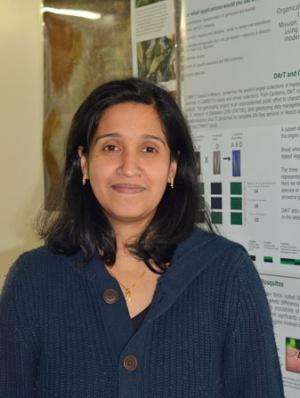 After joining the DArT team in 2009 Adriane contributed to the ongoing development of new DArT products along with continual improvements and fine tuning of our Genotyping services using the Next Generation Sequencing platform. Adriane manages the work flow of DArT laboratory operations, providing and formalising staff training, working on data analysis of DArT markers and SNPs as well as report preparation and consultation for our clients. One of her major long term projects is driving the development and implementation of the DArT Laboratory Quality Management System and providing strategic advice and direction to the process of achieving accreditation. 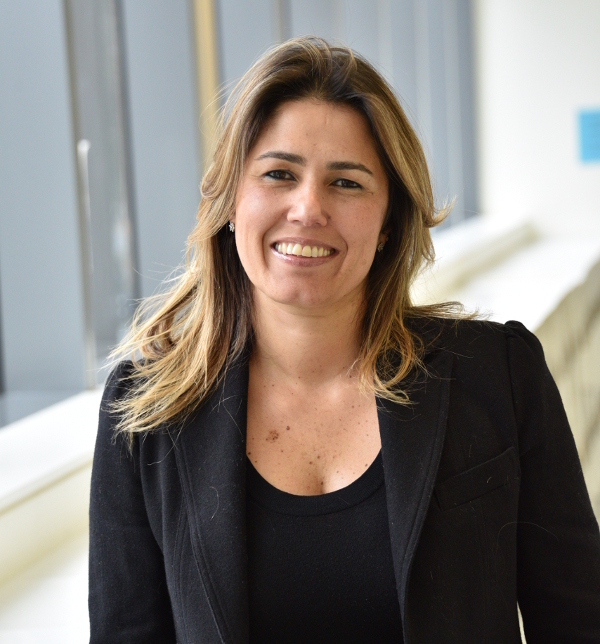 Originally from Brazil, Adriane graduated in Biology at University UniCeub in Brasilia. 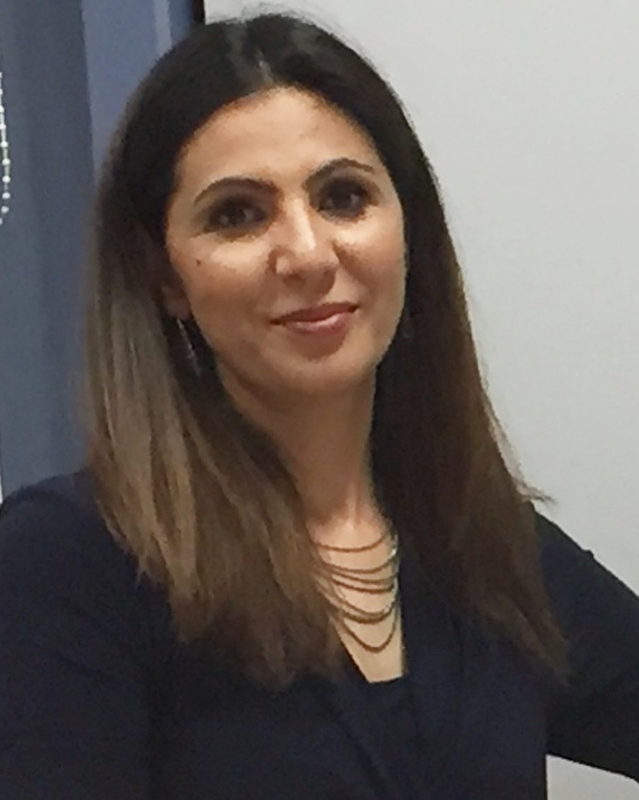 She completed her PhD in Plant Molecular Biology at the Australian National University (ANU) conducting the research at CSIRO laboratories where she gained extensive research and project management experience. 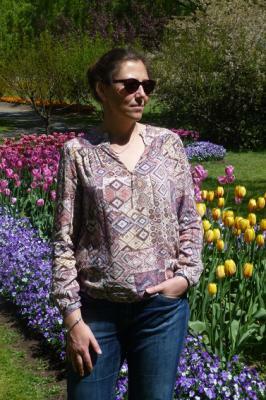 Kasia joined DArT in 2004, as Research Scientist in the R&D team. Her main focus was to develop the microarray platform for the genetically demanding sugarcane and other organisms. 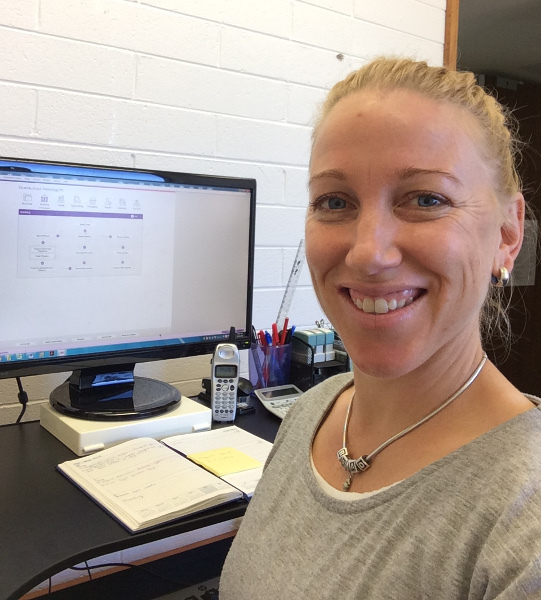 Over the years Kasia contributed to the adaptation of NGS technology to DArT genotyping and developing DArTseq workflow and service. More recently her work concentrates on managing the workflow and reporting of DArTseq services, improving the analytical pipeline, continuing R&D and QC component for DArTseq, while developing DArT targeted genotyping and contributing to automation of lab processes. Originally from Poland, Kasia holds a master’s degree in plant population genetics from the University of Silesia, Poland, which included a scholarship at the University of Greenwich, UK. She worked as Associate in Research at Washington State University, USA and gained her PhD in plant molecular biology from the University of Warsaw, Poland, conducting her research work at Cambia, Australia. Kasia enjoys jazz music, reading and fine arts. She loves nature and tries to live sustainably so her children can also enjoy the clean natural environment. 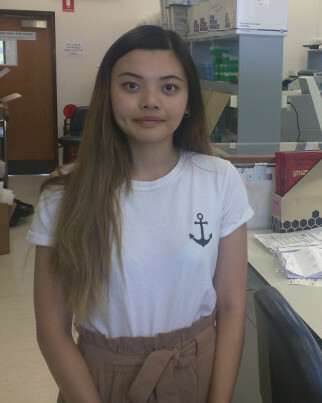 Cina came to DArT in 2009 as part of her PhD studies through Charles Sturt University, in Wagga Wagga, working on locus identification for Pleiochaeta setosa in white lupin. She commenced as an employee with DArT in 2010, becoming involved in various aspects of the Genotyping by Sequencing workflow. Cina holds a bachelor’s degree in Botany and a masters in Biotechnology from India. She previously worked at the Rubber Research Institute of India (RRII), focusing mainly on molecular marker identification in a fungus (Corynespora cassiicola) in rubber leaves. 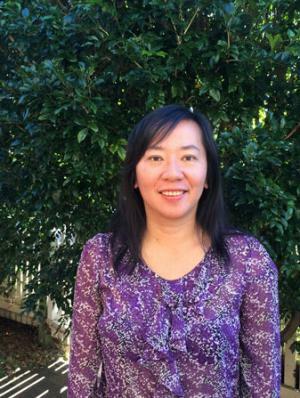 Cina migrated to Australia in 2007 and has settled down in Canberra with her family. 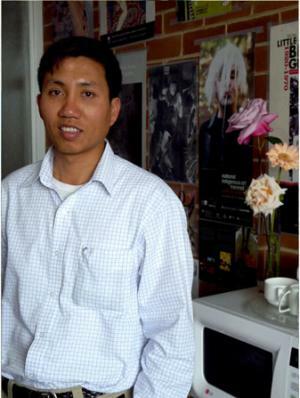 Ling joined DArT in 2003 as a research technician. She was initially involved in developing DArT microarrays for sorghum, cassava and rice. Her responsibility today is to perform DArT DNA sequencing services. Originally from China, Ling holds a bachelor’s degree in chemistry and masters in analytical organic chemistry and in physical organic chemistry from China and the UK. 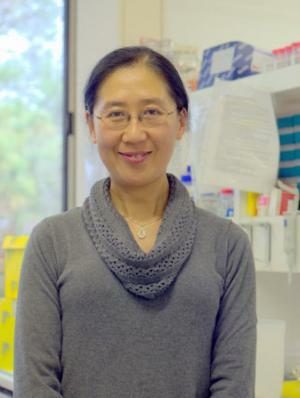 In 1999, Ling completed her PhD in fatty acid synthesis at the Australian National University, then continued there with her postdoctoral fellowship. She has settled in Australia with her husband and two sons and enjoys life with family and friends. Damian started working with Dr Andrzej Kilian in 1998, when the team was based at Cambia. 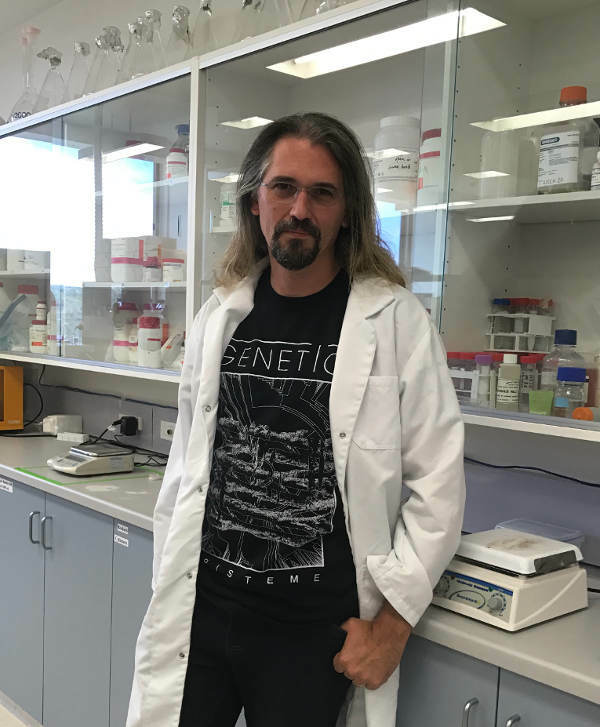 He started out as a research technician, then completed his PhD in 2006 from the Australian National University and was involved in the development of some of the original Diversity Arrays microarray technology. With a background in biochemistry and molecular biology, Damian’s PhD work explored genome complexity reduction methods for rice and mouse, both in the lab and in-silico. 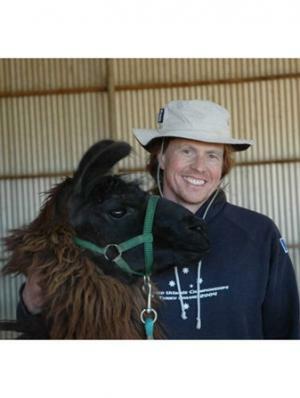 Originally from Canberra, Damian now lives nearby on a small farm with his partner, daughter and a range of animals including llamas. His other interests include playing ultimate frisbee, gardening and photography. After becoming interested in the subject while an undergraduate, Brian has spent the next four decades working in a wide range of I.T. areas after graduating with a degree in Pure and Applied Mathematics. With experience ranging across diverse fields including Communications, Database Systems, Data Analysis and Exploitation, Systems Tuning, Software Design and Systems Analysis Brian is enjoying the challenges at Diversity Arrays which he joined in August 2013. Brad joined DArT in 2014 as a systems administrator. He has extensive experience in network design and security, virtualisation and cloud computing and is a passionate advocate of opensource technologies. Brad obtained a Bachelor of Information Technology from the University of Canberra in 2002 and has worked as a software developer and systems/network engineer for local companies and more recently for General Electric’s Digital Energy division. He was born and raised in Canberra and now lives in its south with his partner and three young children. Brad’s hobbies include playing ultimate frisbee, rock climbing and playing his acoustic guitar. He regularly attends music festivals and gigs and derives much pleasure from listening to music. Puthick is a fan of GNU/Linux. At Diversity Arrays Technology, he is in charge of the development of the Data Access Layer for KDDart, which is a data integration platform connecting phenotypic, genotypic and environmental data together in relational databases. Puthick studied computing at the Royal University of Phnom Penh, Cambodia. He started working as an IT intern and became a system/network administrator before coming to study IT at the Australian National University in Canberra. Puthick was born after Khmer Rouge in Phnom Penh. He then saw many white tanks with a blue flag came to Cambodia as the UN peacekeeping force in 1991. He now enjoys Canberra, by cycling to work and likes growing colourful cut flowers in his garden. 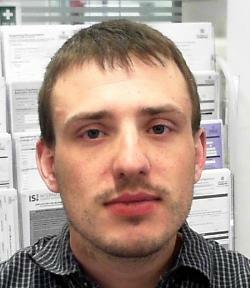 Matthew joined DArT in 2010 and has a background in Information Technology and Electronics. Matthew studied Microelectronic engineering and Information Technology at Griffith University, graduating with a Bachelor of Information Technology. 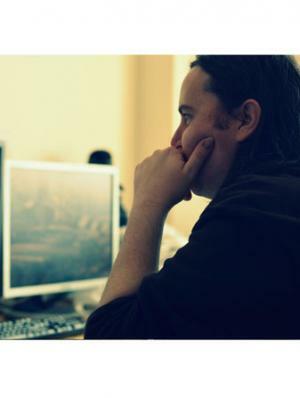 Before coming to Canberra, Matthew worked in Brisbane for Jumbo Interactive doing backend web development and developing Point of Sale systems. 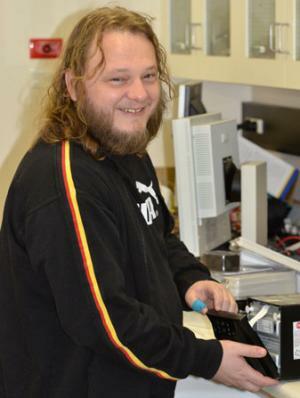 For DArT, Matthew performs general and embedded programming as well as equipment maintenance and electronic design. Hobbies include martial arts and rock climbing. 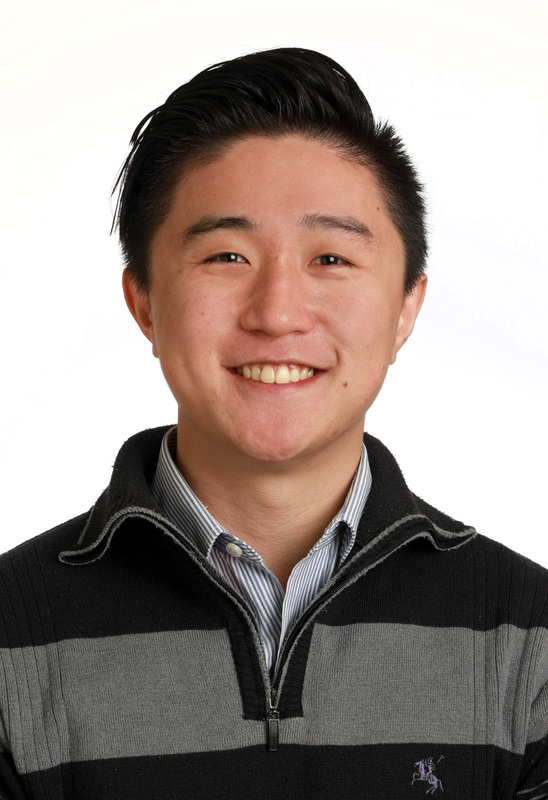 Jie joined DArT in 2013 as a data analyst. Currently, Jie work on consensus map construction, genomic selection, missing data imputation and marker-trait association studies. Jie completed her PhD project in Statistical Genetics at University of Sydney in 2010, and then worked in University of New South Wales as postdoctoral fellowship. Jie and her family have settled well in Australia, and they enjoy traveling, music and sports. After over 30 year of studies and research in mathematics (PhD), mathematical physics, telecommunications, artificial intelligence and data mining before Adam has discovered his ultimate passion, when he joined Peter MacCallum Cancer Centre in Melbourne in 2003: the wrestling with statistical and computational challenges standing in the way of practical applications of emerging genomic technologies. In 2004, following a year of rubbing shoulder with Peter MacCallum’s wet lab researchers, he joined newly founded National ICT Australia as a principal researcher, instead of returning to Telstra Research Laboratories, where he was employed for previous 20 years, or to the academia where he was lecturing in maths prior to that in Warsaw, Poland and Baghdad, Iraq. There he championed the next 10 years of research into extreme challenges for bioinformatics, machine learning and their applications. This included years of collaboration in agriculture with DArT and a number of biomedical laboratories. 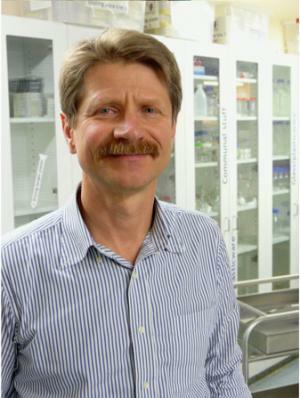 Currently he splits his time between DArT; Genomics Biomarkers Systems, GeBiS, yet another start-up which he founded in 2014 – and the Centre for Neural Engineering, The University of Melbourne, Australia, where he holds an honorary position and The Faculty of Mathematics and Information Science, Warsaw University of Technology, Poland. 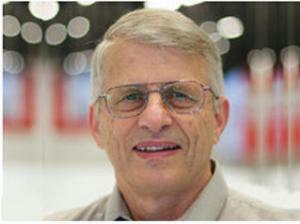 Adam has co-invented 12 patents and co-authored over 100 scientific papers to date. George joined Diversity Arrays Technology in 2016 and is part of the team that develops our KDDart Applications. He develops front end web interfaces to improve the user experience. George studied Information Technology and Science at the Australian National University and has worked in the marketing and communications space as a Digital Consultant prior joining Diversity Arrays Technology. He has been involved with Web Development ever since his family connected to dial up internet in 2000. George was born in Sydney but has grown up in Canberra. He enjoys playing soccer and cycling. Andrew joined DArT at the end of December 2015. He currently works as a Bioinformatician developing applications for downstream data analysis. He also works as a Software Engineer, his primary project is KDCompute, a web-based application with a user-friendly GUI to build and deliver custom tools to non-technical users. His previous work also involved bioinformatics for Human Genetics developing Analytical Applications at the School of Population and Global Health (MSPGH). The most significant project involved Supercomputers and GPU programming. 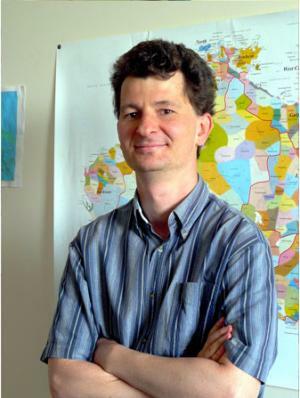 Andrew holds degrees in Software Engineering and Statistics from the University of Melbourne. Andrew enjoys the outdoors, exploring the world with activities such as hiking, rock-climbing, canyonning, caving and cycling. Jane began at DArt in September 2016 as a part-time laboratory technician mainly focusing on DNA extraction and Genomic QC. Jane is currently completing a Bachelor of Science majoring in Chemistry and Biology at the Australian National University and intends to continue pursuing a scientific career. Jane was born and raised in Canberra and as a result loves to travel and explore, particularly by the ocean. Jane enjoys drawing, reading, keeping active and spending time with friends and family. Reuben Durham joined DArT in March, 2015. He started primarily in the lab and DNA sequencing operations at DArT doing DNA Extraction, Target Preparation and QC Analysis, but now performs more software development roles for in-house tools and the KDDart suite. Reuben also has a background scoring for film, as a Recording Engineer in the United States, and is setting up a professional recording studio just outside Canberra. He is very active in the local music scene, and plans to continue writing music for film, TV and other media. 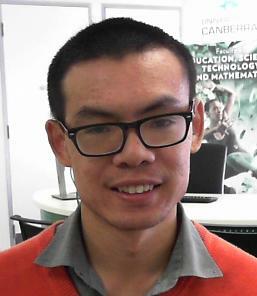 Zhong Yu joined Dart team late in 2017, as a lab technician and is currently studying an Advanced Master of Biology at the ANU. He graduated with a bachelor of biotechnology from the ANU in 2016 where he was amazed at the wonders of science and the ability and achievements of his peers and mentors, he set to learn more. Currently interested in Malaria parasite work, and the role that lipids, and protein has for its virulence and spread. Born in China but grew up in Adelaide, Zhong enjoys going to the gym, traveling, exploring with friends and trying all sorts of cuisines, but also enjoys the peace and sun that Canberras has to offer when he’s not spending time with friends or family. 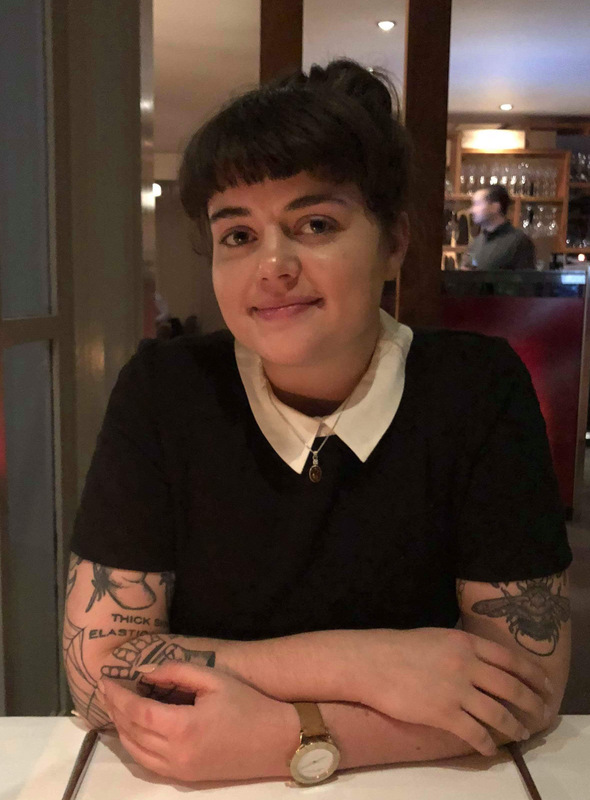 Bianca started at DArT in February 2018 as the company’s sole Finance and Administration Officer. Bianca is responsible for the entire financial department, while also performing a range of business administrative tasks. Bianca completed her Bachelor of Business (Accounting) through CIT in 2002. She worked for 9 years in her fathers busy truck dealership, being in charge of Finance and Administration. In 2004 Bianca, along with her partner Brad, purchased a bicycle shop. After 14 years of enjoyable and successful trade they have decided to sell their bike shop, ready to fulfill new goals and dreams together. Bianca is an extremely passionate trail runner and also enjoys mountain and road riding, rock-climbing, surfing and working out in the gym. Bianca also loves to spend time with family and friends, cook and bake or watch a movie. Ken joined Diversity Arrays in 2018 as a programmer with expertise in the Perl Programming Language. 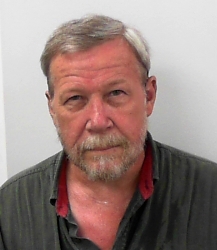 He has been writing computer code for over 40 years and Perl code for about 25 years. He is a senior member of the PerlMonks forum and has contributed to both the Comprehensive Perl Archive Network and, in a minor way, the Perl core itself. He holds tertiary qualifications in computing from the Royal Melbourne Institute of Technology (post-graduate) and in biology from the British Institute of Biology (graduate). Ken has worked in the IT industry for almost 40 years. In his spare time, Ken enjoys playing and creating role-playing games (both pen-and-paper and computer-based). 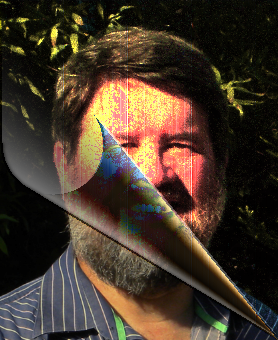 Whilst mostly just for personal pleasure, he has had a variety works published; including an add-on module for Morrowind and technical documentation for the scripting language used by Neverwinter Nights. Maya began at DArT in 2013 in order to gain work experience in the field of genetics and has since stayed on as a Laboratory Technician. Her main role involves DNA extraction and DArTCap. Maya completed a Bachelor of Medical Science at the Australian National University and Honours in Genetics at the UC. She enjoys playing music and the local music scene, as well as hitting the gym. Cathryn has been with Diversity Arrays since 2017. She fulfills a variety of roles including Lab Operations and Business Administration. She also enjoys photography, Nature and Science documentaries, and music. Tania recently joined the Target Team as a Laboratory Technician in 2018, where she is involved in high through-put production of Targets for sequencing and further analysis. 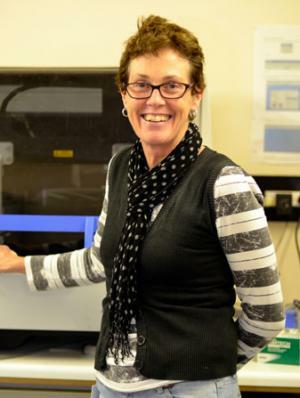 With a background of over 15 years in Molecular Genetics, Biochemistry, Microbiology in Research Laboratories and Teaching Laboratories at ANU, CSIRO, SCU and CDU, she has experience in a diversity of research fields and industry. She completed a BSc(BaMBi) at ANU, while participating in a CSIRO Entomology internship followed by Honours at SCU. Tania is happy to have returned to Canberra with her two daughters, who keep her busy with homework, horses, ice-skating and soccer. Laila joined DArT in March 2017 as a lab technician. With her background in science, she works in the DNA Extraction team. Laila was born in Kabul and lived in Germany for over 11 years. In 2007, Laila moved to Australia with her family . Laila speaks three languages Dari, German and Urdu. In her free time. she likes spending time with the kids, gardening, walking and cycling. We also have: Leon Smith, Berenice Talamantes, Ghezal Pirzad, Sarah Hausner, Julian Hausner, Taylor Poltich and Alex Busuttil on our team.